Lima is ridiculously delicious. 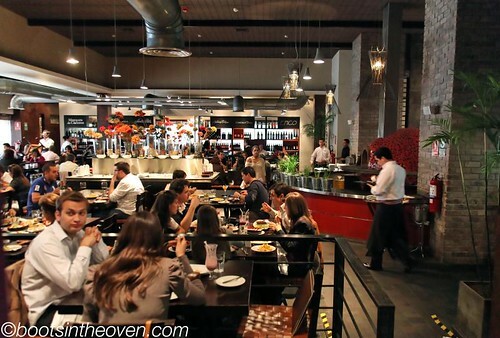 There are so many top-tier restaurants there - and by this, I don't mean fancy, gilt-plated temples of Francophile cooking, I mean places where you can walk in and easily get wonderful food - that we could have eaten happily for months. First, there's the very cool influence of Chinese food everywhere. 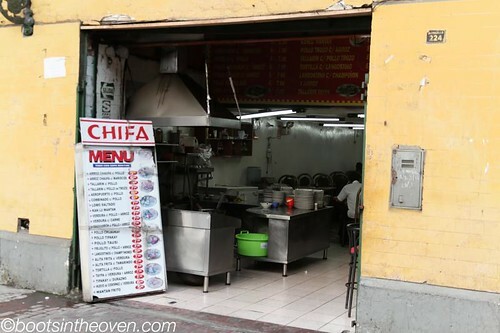 It's easy to find a "Chifa", or Chinese restaurant, on every block, and Chinese ingredients and preparations have found their way into many a Peruvian home. 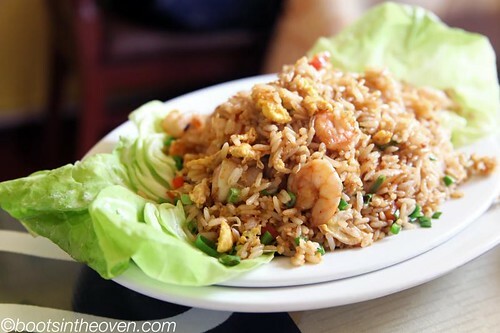 In fact, a very popular dish to eat after your gut-punch of sour, spicy ceviche is chaufa, or fried rice. Here's one from cevicheria Mary, which was the best fried rice I've had in a long time. 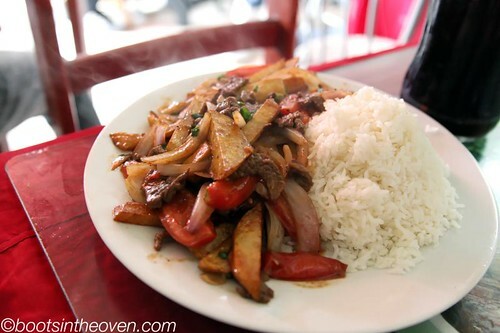 One of the most typically Peruvian dishes is called "lomo saltado", and is basically beef quickly stir-fried with tomatoes, dense Peruvian potatoes, onions, and soy sauce. 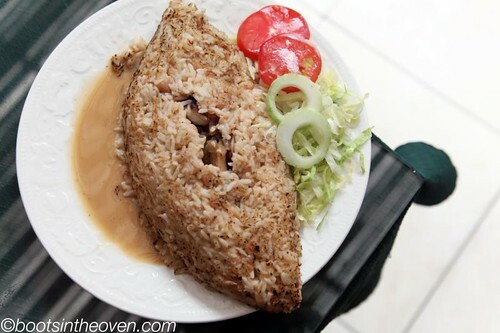 It's served with rice, and the whole thing comes together in a very Chinese fashion. 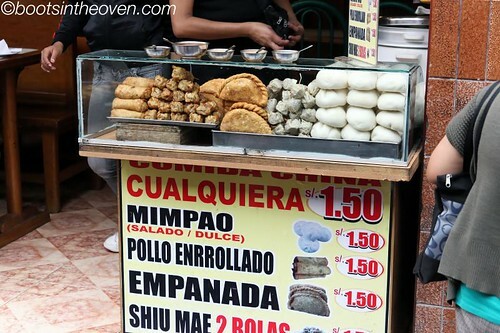 In Lima's Chinatown, you can buy empanadas and pao on the street. There's also a strong Japanese influence in Lima; former president and now jail-bunny Alberto Fujimori (whose daughter is running for president right now) was born of Japanese immigrants and retained dual citizenship. 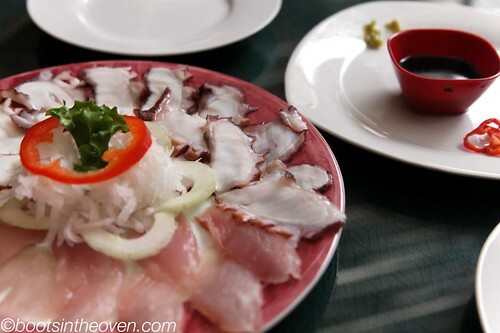 We ate at Encuentro de Otani and ordered "sashimi de pulpo", which was some of the freshest-tasting and best-prepared octopus I've ever had. And it was served with high-quality soy sauce and real wasabi. In a back alley in Lima. 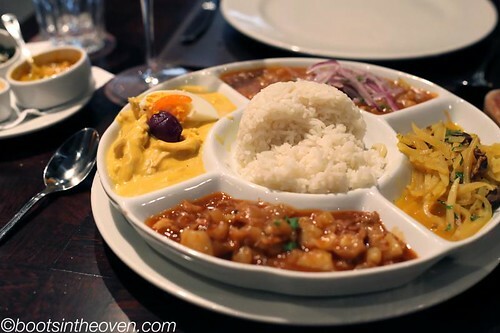 For a second course, we shared a gingery prawn stir-fry and a heaving plate of "tacu-tacu", a very Peruvian dish made of rice and peruano beans cooked together. 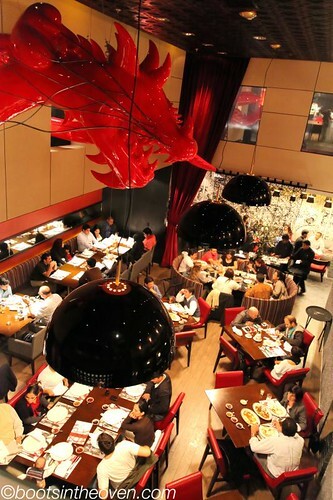 At Encuentro de Otani, our massive tacu-tacu was filled with perfectly prepared seafood. 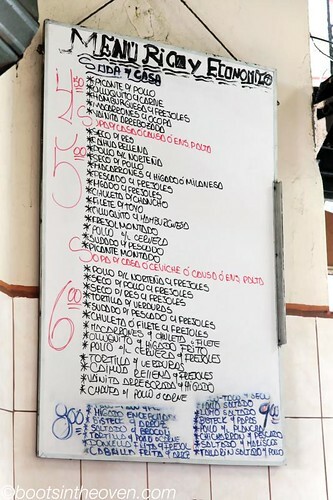 We ate at market restaurants, too, where two-course meals could be had starting at $1.30 (the exchange rate right now is about 2.75 soles to the dollar). 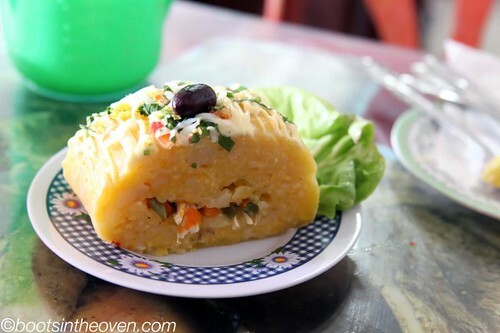 My favorite discovery at these places was causa limeña, a cold mashed potato pastry filled with a seafood or chicken salad and topped with crema. The potatoes were perfectly cooked (as with every potato dish we had in Peru) and the flavors were delicate, but never muddled. The anticuchos at Panchita were ridiculous. Grilled beef heart, chicken hearts, marinated, soft stomach, sliced tripe… I know this doesn't sound good, but the kitchen handled all of the nasty bits with such talent, precision and care that the exact provenance of the meats didn't matter after the first bite. And the fairy-tale sized kernels of choclo, laying under the meats; of course they were perfectly cooked, too. 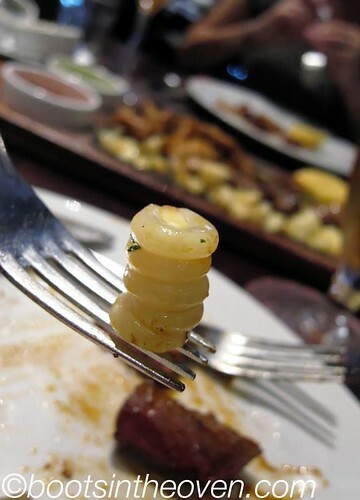 I love their starchy texture and light sweetness. Thankfully for the two of us, Panchita's menu offered a taste of four stews, which we leapt on for our second course. We'd had a very bad aji de gallina, or thick chicken and pepper stew, earlier in our visit (Las Tejas, AVOID), but the version here was amazing, creamy and with just a bit of aji pepper bite. The shredded olluco gourd, very much like a potato, was new to us and an immediate favorite, while the pig foot stew (patita con mani) failed to win me over. Pig feet are just so… pigfooty, I don't know. And the last, carapulca, made with dried potatoes and bits of pork, had a soothing texture and was such a comfort to two people far from home. And though we were uncomfortably full, we managed to find a bit of space for a dish of suspiro limeño. 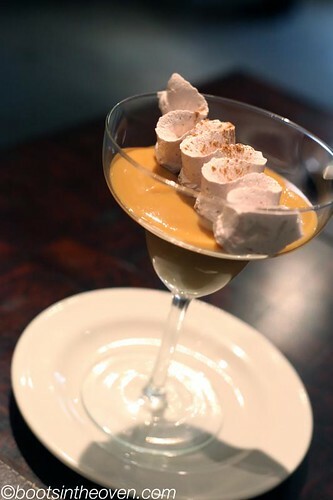 This dish is made of a base of manjarblanco, or caramel pudding, with a topping of port-flavored meringue. Beautiful, and just as light at the lady's sighs it's named for. All the flavors at Panchita were complex and difficult to figure out, just like pretty much everything we were lucky enough to try in Lima. 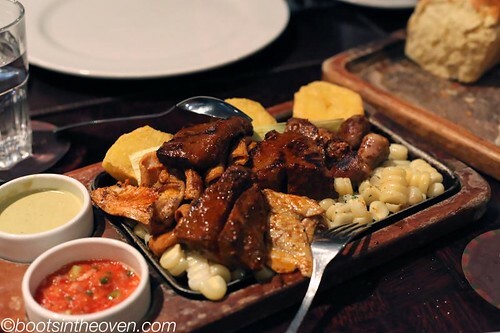 I think Logan and I could easily and with gusto throw ourselves into a further study of Peruvian food and ingredients, from the most humble market stalls to the fanciest, top 50 in the world gastro-churches. Who's in? I was totally drooling over this post. I want to try Peruvian-Chinese food! South America is seriously on my list of places to visit one day! Greaet post! OK, the lomo saltado is pretty legit at Golden Wok in Austin. It looks almost exactly like the real thing you have here in your post. Thanks for writing this and please let me know how Austin's Chifa stacks up to what you had in Peru.